Penguin Random House has prevailed in a bidding war for a pair of books by Barack and Michelle Obama. The books will not come out this year. They are likely to be released in 2018, but there are no official publication dates yet. The publishing house announced the book deal on Tuesday night. CEO Markus Dohle said it would work with the former first couple to "make each of their books global publishing events of unprecedented scope and significance." The announcement came a few hours after the Financial Times reported that auction between several prominent book publishers had surpassed the $60 million mark. It is unclear how much Penguin Random House ultimately paid for the two books. The parties involved declined to comment on the terms of the deal. But the FT said it amounted to "a record sum for US presidential memoirs." According to the publishers announcement, the Obamas "plan to donate a significant portion of their author proceeds to charity, including the Obama Foundation." 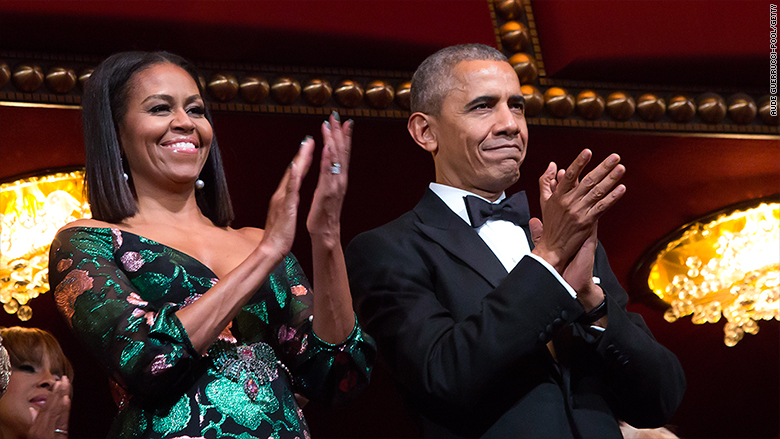 Additionally, Penguin Random House will donate one million books "in the Obama family's name." The pair of Obama books will be published separately, but publishing houses vied for the rights to the books together. Lawyer and literary agent Bob Barnett represented the couple in the joint book deal. Former President Obama's past books were published by Penguin Random House, so the new deal continues a two-decade-long relationship. Book deals are usually predicated on a publisher's expectations about sales. Books by the Obamas are virtually guaranteed to be best-sellers, selling millions of copies and generating weeks of media attention. Book industry bidding wars get competitive for other reasons as well. The opportunity to be in business with a famous figure like a former president is a factor. Another publisher, Crown, reportedly paid about $10 million for the rights to George W. Bush's White House memoir.